Louella Jane Jarvis was born October 31st, 1915 in Vincennes Indiana. Jane was a labeled a music prodigy by the age of five & was hired to play for a radio station as a child. Her parents were tragically killed in a train wreck when she was just 13 years old. 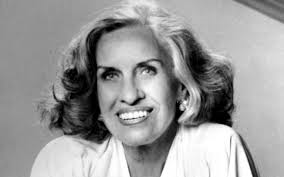 She was a jazz pianist and began playing in Chicago & Milwaukee nightclubs, radio stations & television shows in the 1950's. 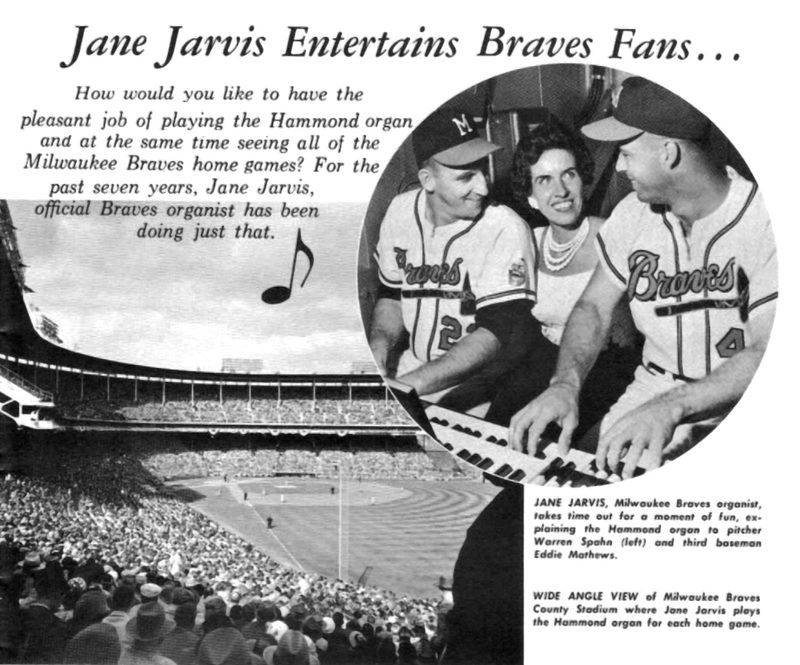 She was approached by the Milwaukee Braves to play organ at Milwaukee's County Stadium. At first she asked when will I play & she was told when the umpire says three outs. Jane replied & when is that? She took the job & played at County Stadium for the next eight years. She moved to New York in 1963 to take a job with the Muzak Corporation, where she eventually became vice president & director of programming. 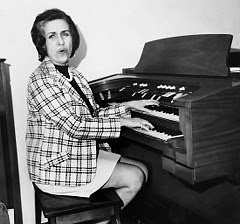 In 1964 she got the job to play organ at the new Shea Stadium in Queens, New York. She will always be remembered at Shea for playing an alternate theme song, "Let's Go Mets", as the team took the field before every game. She also would play the classic "Meet the Mets" theme song & made famous her renditions of the Mexican Hat Dance during the seventh-inning stretch. 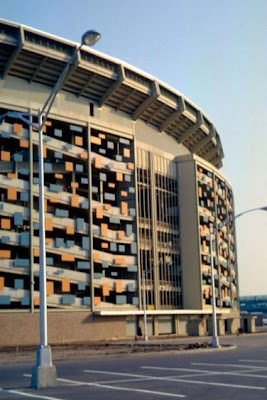 Jarvis became a Shea classic, and would play the organ for 15 years through the dismal 1979 season. The Mets never replaced her with another organist. Todays music is recorded modern rock & pop sounds blasted from massive speakers, the lost art of peaceful sounds of a ball park organ are long gone. On top of her jobs at Shea Stadium & Muzak, She also worked the West Village jazz scene in the 1980's and recorded her own albums. 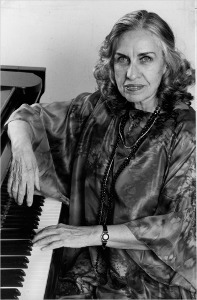 She founded the American Federation of Jazz Societies, which is a group of jazz musicians 65 & older. Jarvis lived on the Upper East Side of Manhattan until 2008 when her building suffered damage due to the giant crane collapse. She spent her final years in Englewood New Jersey at the Lillian Booth Actors Home. 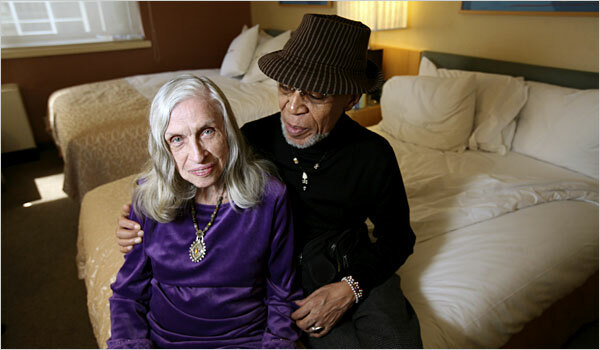 She passed away there at age 94 in 2010. She was survived by two children, grand children & great grand children. The Mets never replaced her. --and they never will. Nice tribute, Maz. Mexican hats off. I have memories of hearing her play "Light My Fire" at some point!